The new FCA-managed Jeep is slowly expanding and refreshing its model range, and the latest result is this new, facelifted Jeep Cherokee. 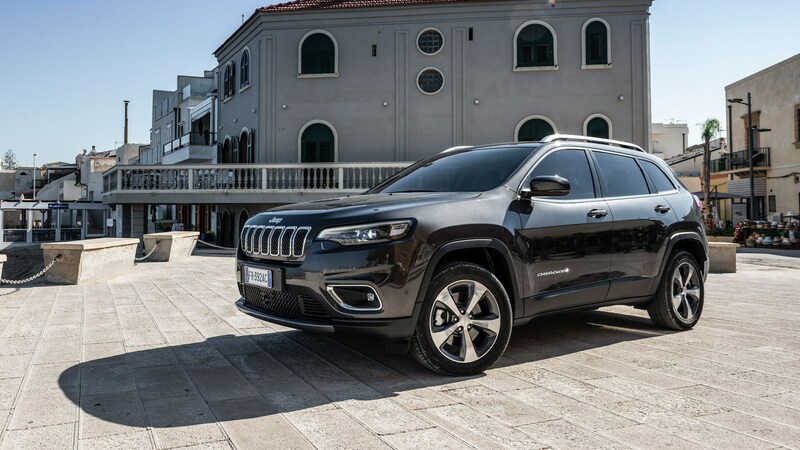 The new Cherokee promises to offer all the practicality of a family SUV, with at least some of the ruggedness and character of the original Willys Jeep. Does it deliver? 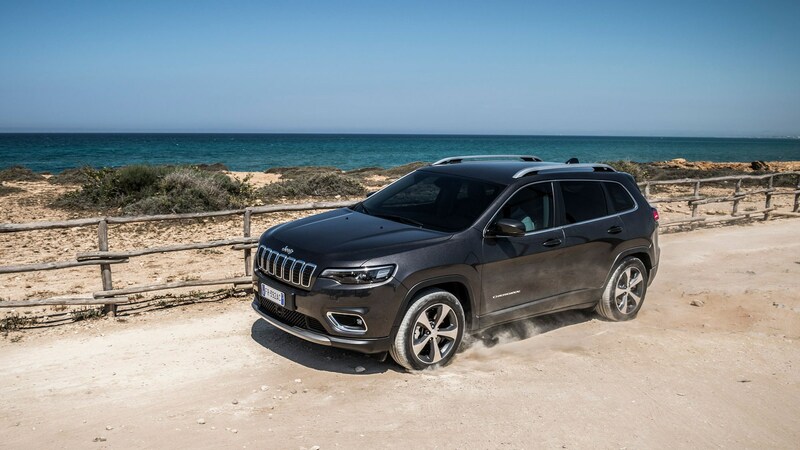 We drove two different versions of the new Jeep Cherokee in Sicily to find out. It’s worth outlining how the new Jeep Cherokee looks, because it’s a fitting metaphor for the entire ethos of the car. At the rear, redesigned LED tail-lights are intended to give the car a higher yet more agile look, while the front sees new LED headlights combined with a fresh ‘face.’ And that seven bar grille is one of the most memorable bits of this new Cherokee, as it’s the only real nod to its Jeep heritage. Now, the Jeep Cherokee isn’t unattractive, but it doesn’t appear to have some of the distinctive character of other SUVs on the market. 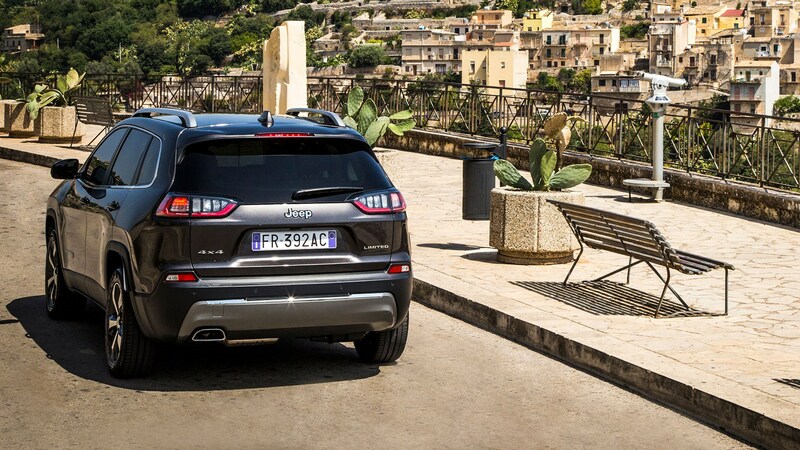 The rear lights are handsome, but mean you can mistake the Cherokee for anything from a Ford Edge to a Hyundai Tucson. And after following another Cherokee through a tunnel, the rear light signature looks a lot like an BMW i3’s. The theme holds strong. Jeep has done a good – if uneventful job - of the interior, and ‘fit for purpose’ is probably how it’s best described. Lower models use high-quality textures and plastics – while higher-end models give you ’90s wood inserts and stitched leather – but everything in the cabin is within easy reach and the controls are simple and intuitive. 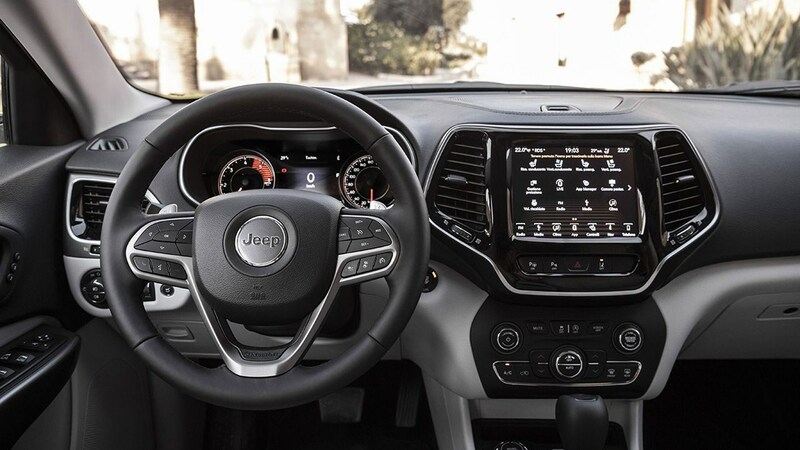 Jeep uses big, clearly labelled buttons throughout and while their styling won't set the world on fire, using them is far less tricky than the fussy touch-sensitive dials of a new-gen Audi, for example. The latest version of FCA’s Uconnect infotainment system won’t have Merc’s MBUX or Volvo’s Sensus system worried, but it’s certainly a well-thought-out and robust. Featuring a white-on-black-themed UI with sharp eye-catching highlights on a 8.4-inch screen, it’s easy to navigate through and comes with Apple CarPlay and Android Auto integration. What’s actually coming to the UK? Jeep’s European plans for the Cherokee are currently as clear as mud – with two and four-wheel drive models available in other markets – but only four-wheel drive models with a circa-200bhp 2.2-litre MultiJet diesel lump destined for the UK. However, it’s hard to comment on the engine, as it’s mated to a nine-speed auto ‘box that feels about as quick and direct as walking through Ready Brek. More on that shortly. It’s worth pointing out that this is a family car, and carries no expectations to handle like a M3 or 911 GT3 – and in truth it possesses pleasant driving dynamics. Body roll is present and as you’d expect from a tall, heavy car, but it’s not at cross-channel ferry levels, and while the steering is light, it’s just about direct to inspire some confidence in placing the car. The brakes aren’t bad either, and offer just enough stopping force for just under two tonnes of Jeep. If you want to drive this car off-road – it is a Jeep, after all – you’ll find it performs admirably. We were able to navigate four-wheel-drive models though loose gravel and some very steep inclines, and the MacPherson struts up front and multi-link arrangement at the rear deal with bumps without liquifying internal organs. Shambolic Sicilian roads also provided an unexpected off-road test of their own, and the Cherokee didn’t make a meal of the various craters, potholes and scars littered on our route. So far, so good. It’s a shame then, that any real driving enjoyment from this car is quickly deflated by the stodgy, aforementioned gearbox. Asking the car to accelerate causes the unit to have a conference, and, then after a short pause, select the gear it felt you should be in some time ago. Sour. We tried twiddling between driving modes, but found Sport mode simply just held gears longer to little useful effect. We tried paddles too, though the process of gear changing was still drawn out. Your workaround? To apply the throttle moments before it is required. Not really ideal for a relaxing driving experience. Of course, if you’re driving the car like a normal person, many of these problems will disappear - and most of your time will be spend on the motorway using the car’s adaptive cruise control and lane-keeping (fitted as standard). However, when you want to overtake, the gearbox really undoes the previous miles of stress-free driving. It’s therefore no great loss that the UK misses out on the 148bhp two-wheel drive version of the Cherokee, then. We’re told a 2.0-litre turbo petrol is in the pipeline with some 266bhp, but you’ll be wanting a new gearbox to get the most out of it. The Jeep Cherokee isn’t a bad car, but it’s left wanting when compared with its rivals. It’s less fun to drive than a X3, less stylish than an XC60 and less techy than a Q5 – and its Jeep heritage is too diluted and untapped to matter. Gearbox aside, the Jeep is a robust all-rounder, but compare it to rivals – and throw in a crippling asking price likely to be around £40,000 – and the Cherokee is neither cheap, stylish or original enough to recommend.